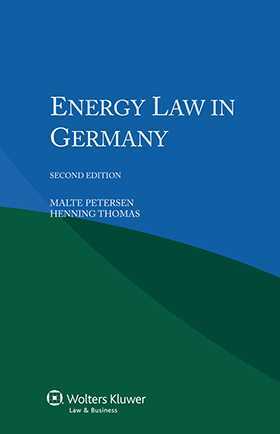 Derived from the renowned multi-volume International Encyclopaedia of Laws, this book provides a systematic approach to legislation and legal practice concerning energy resources and production in Germany. The book describes the administrative organization, regulatory framework, and relevant case law pertaining to the development, application, and use of such forms of energy as electricity, gas, petroleum, and coal, with attention as needed to the pervasive legal effects of competition law, environmental law, and tax law. A general introduction covers the geography of energy resources, sources and basic principles of energy law, and the relevant governmental institutions. Then follows a detailed description of specific legislation and regulation affecting such factors as documentation, undertakings, facilities, storage, pricing, procurement and sales, transportation, transmission, distribution, and supply of each form of energy. Case law, intergovernmental cooperation agreements, and interactions with environmental, tax, and competition law are explained. Its succinct yet scholarly nature, as well as the practical quality of the information it provides, make this book a valuable resource for energy sector policymakers and energy firm counsel handling cases affecting Germany. It will also be welcomed by researchers and academics for its contribution to the study of a complex field that today stands at the foreground of comparative law. Chapter 3. Historical Background and Development of Energy Law. Chapter 5. Role of Municipalities and Municipal Energy Supply Companies. Chapter 6. Energy Concept 2010. Chapter 7. The German Energiewende (Energy Package 2011 and Subsequent Developments). Part I. Regulatory Framework for Electricity. Chapter 2. The Production of Electricity. Chapter 3. Transport (German Petroleum Stockpiling Act). Chapter 5. Consumption (Renewable Energy in the Transport Sector). Chapter 1. Production. Chapter 2. Exploitation. Part V. Regulatory Framework on Renewable Energy. Chapter 2. Overview of the German Renewable Energy Sources Act (EEG 2012). Chapter 7. Renewable Energy Sources in the Heat Sector. Part VI. Interaction between Energy Law and Environmental Law. Chapter 1. Overview of Relevant Statutory Sources. Chapter 1. Overview of the Relevant Statutory Sources. Chapter 2. Overview of European Competition Law with Regard to the Energy Sector. Chapter 3. Act against Restraints of Competition (GWB).